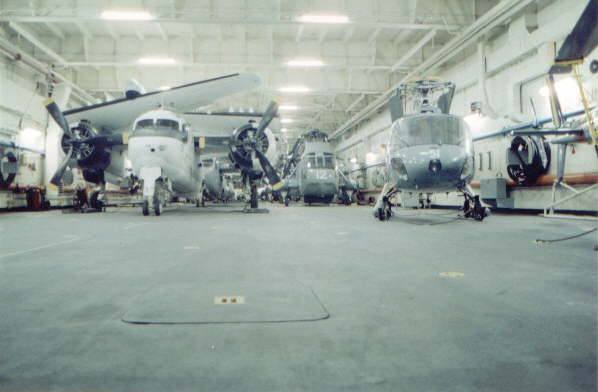 Hangar deck, looking forward shows the parked aircraft and helicopters. 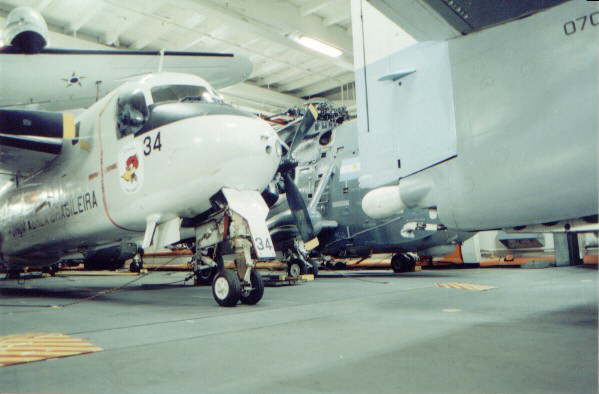 The third plane, the darker one (forward right side) is of the Argentine Navy. 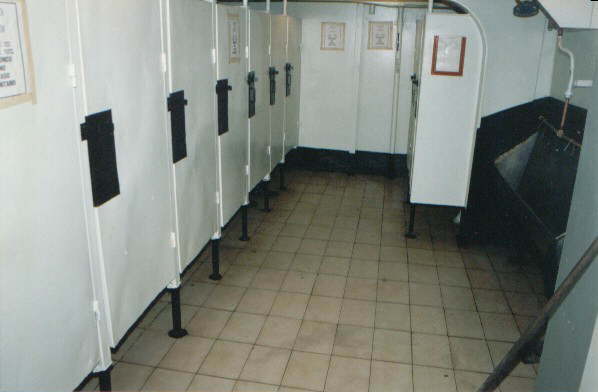 These photo's were taken in late November 1995. 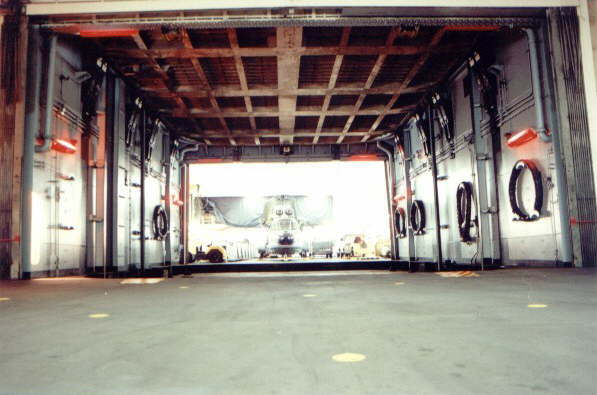 Hangar deck heavy repair shop and the 'aft' lift, looking aft. 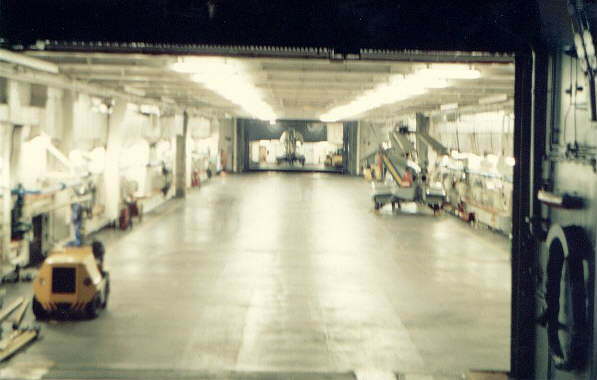 This photo shows the rail of the fire curtain that cuts the hangar into two halves in the event of a fire within the hangar deck. 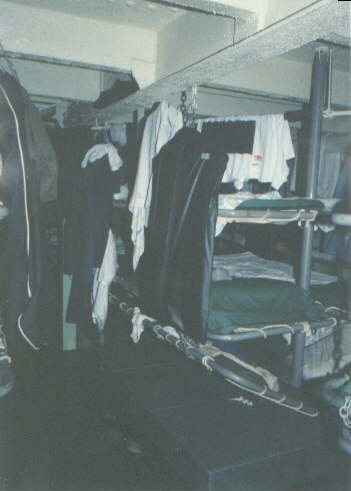 The curtain itself appears below the Argentine aircraft hook housing, compressed against the port wall. 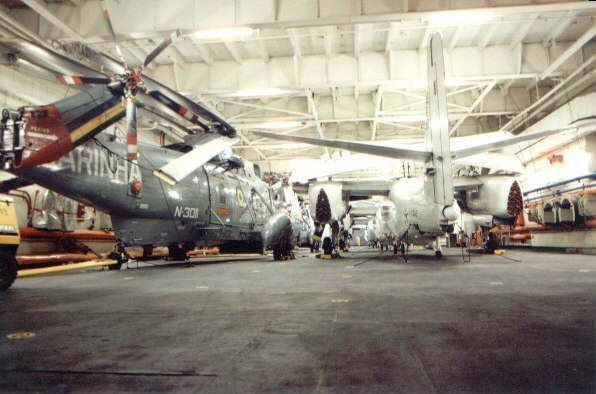 Hangar deck, looking aft shows the same rows of aircraft. The second aircraft on the left is of the Argentine Navy. Minas Gerais flight deck's crash party. Sgt. Luis Thiesen in the air armament workshop, with a long table for maintenance work for machine guns and places for spare parts on the bulkheads. 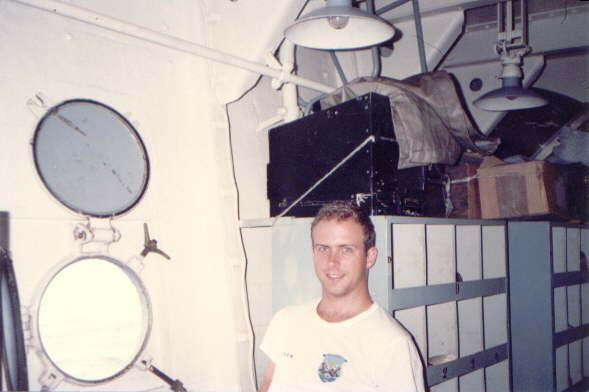 Photo taken looking aft, starboard side. 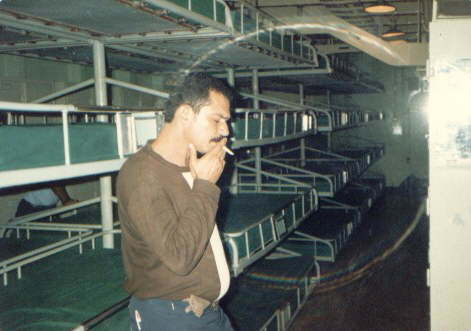 The aviation crews quarters, Minas Gerais. 1st Sgt. Araújo, BAF´s 1º GAE´s mechanic. 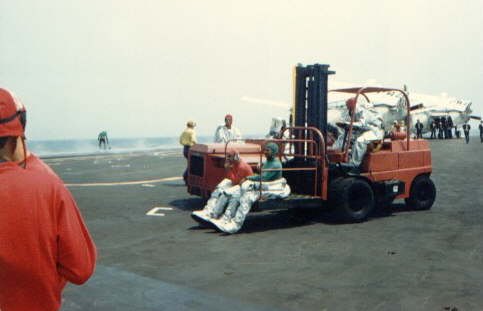 The aviation crews quarters on the gallery deck, below the angled flight deck. This photo shows the right hand, limit of the center space, looking forward. 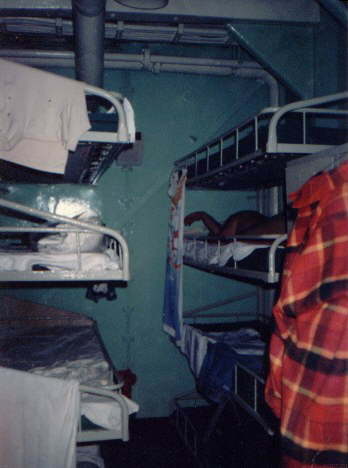 The cramped seaman's quarters, with foot lockers under the bunks. Relatively unchanged from the early days, except with the introduction of bunks opposed to hammocks.